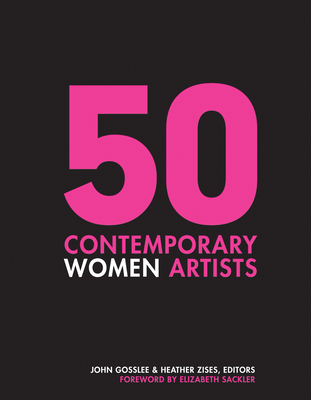 This one-of-a-kind compendium features a selection of women artists and architects who have made groundbreaking contributions to contemporary art. Profiling an international cross-section of artists, 50 Contemporary Women Artists presents fresh perspectives on feminism and notions of cultural power. Using a variety of mediums, the artists in this book address themes of social, cultural, political, environmental, and psychological issues. Included are works by five MacArthur Foundation Fellows that activate an ongoing dialogue about contemporary practices. Readers receive a unique glimpse of seminal works such as Judy Chicago's The Dinner Party, as well as brand-new pieces inspired by the Women's March on Washington in 2017. Complete with a foreword by Elizabeth Sackler, PhD, this compilation is ideal for educators, students, curators, collectors, and all those who support the arts. John Gosslee is the editor-in-chief of New York City based art magazine Quiet Lunch. He also runs PANK and Fjords Review. His poetry is widely published. Heather Zises is an independent curator and Founder of (READ)art, a curatorial platform for contemporary art and culture. Having launched her career at Pace Gallery and Phillips, her research interests embrace feminist and identity-based practices.